Seriously, I LOVE the warmer weather and buying new workout gear is pretty much my favourite thing, but I know that not everyone is happy to spend their entire pay cheque on exercise-related paraphernalia. So I’ve done the smart thing (for all of our wallets) and chosen my top eight wardrobe pieces under $100. Enjoy! My mum bought me my first pair of Lightfeet socks many many years ago and I haven’t looked back! The Evolution are my new go-to pair – they’re lightweight, supportive, comfortable AND they come in a huge range of awesome colours (my favourites are the orange and aqua). They really do keep your feet cool, dry and fresh, helping you to avoid the pain of blisters. And while $34.95 might seem a bit steep for a pair of socks at first, trust me – you’ll be converted as soon as you slip them on your feet. Lightfeet often have awesome email offers. Like their Facebook page and sign up there – it’s worth it! Ahhhh I love these shorts – I pretty much live in them each summer! The wide, smooth waistband sits comfortably and never digs in, and there’s a zipper pocket at the back for keys and the like. Plus, Lulu releases new designs every year, so there’s always a new pair to be purchased! 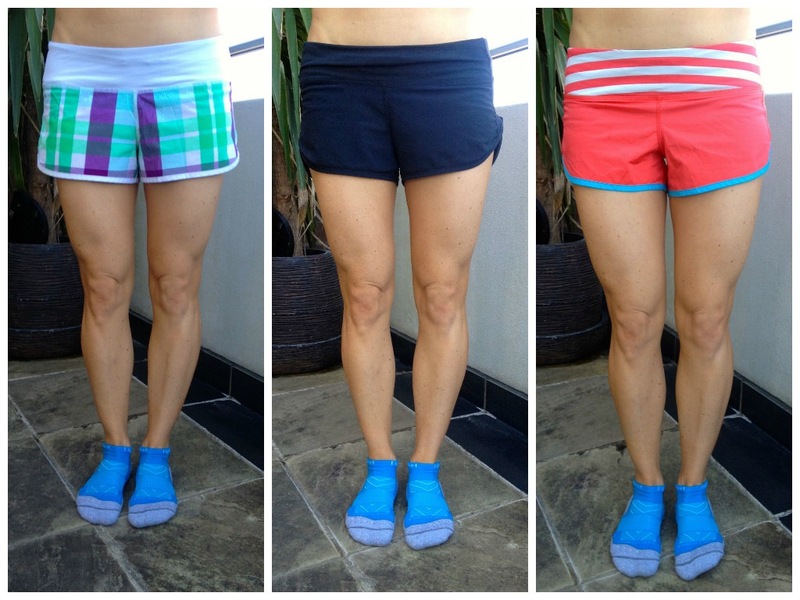 If you’re not keen on a short-short, the ‘Groovy Run short’ is very similar, just cut a little more generously in the leg and with some extra length. Same price, same fabulous designs! These comfy tops come in a range of bright spring colours and they’re only $10-$15! I have a HUGE selection, cos they’re perfect for wearing under my vest during early morning training sessions, or thrown on as a light second layer during the day. Honestly, I stock up on these every year and am never disappointed. I’ve worn 2XU compression tights for many years, but post-City2Surf this year was my first dalliance into the world of compression socks. These little bad boys are specially designed to assist with recovery following a workout or race, and (in my experience) they are of significant benefit! Finding a good quality pair of tights that come in under $100 can be difficult, but I am a big fan of this particular pair from Lorna Jane. The soft waist is gently on tummies, and the panel lines and scoop away design at the back on the knee are both flattering and comfortable. There’s a small zip for keys at the front too (a must-have in every single ‘bottom half’ that I own). These bras are perfect for the gym or when I’m training others. The level of support isn’t high enough for running (for me, anyway) but they come in a range of colours, look great under a singlet and they’re perfect for a good weights session! OK so I have about six of these tops in different colours (when I commit to something I REALLY commit). They’re nice and long and made from a light stretch fabric – so you never need to worry about flashing skin while you’re training. 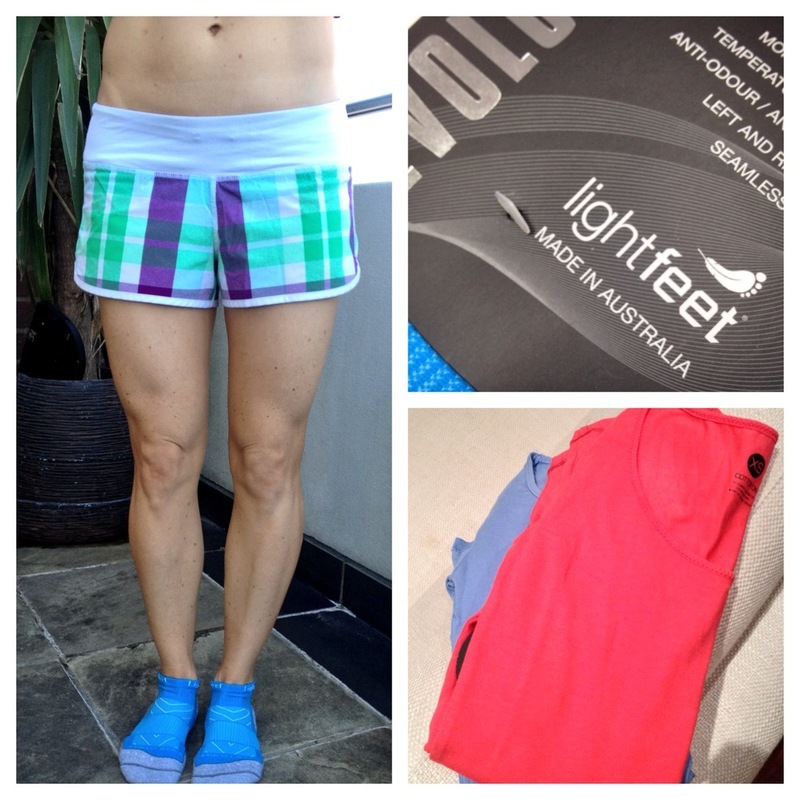 And the fabric is breathable and moisture wicking, so you can wear it for yoga, running and everything in between! There are plenty of great quality pieces out there, but finding stuff that looks good AND will last can be tricky. These eight pieces are all $100 and I can personally vouch for every single one of them. Try them for yourself, and let me know if your favourite spring piece didn’t make the cut!